Vita Silhouette is available from stock in RAL 9016. The colours shown are reproduced as accurately as this process will allow. The Vita Silhouette is available in white (RAL 9016) as standard. The clean, crisp design of the Vita Silhouette make this latest addition to the Vita series a stand out option, with the vertical lines on the casing adding a strong, bold appeal. It offers a cost effective, designer option for the home or the workplace. Available in a wide range of heights and widths, the Vita Silhouette can be tailored to work for any space. 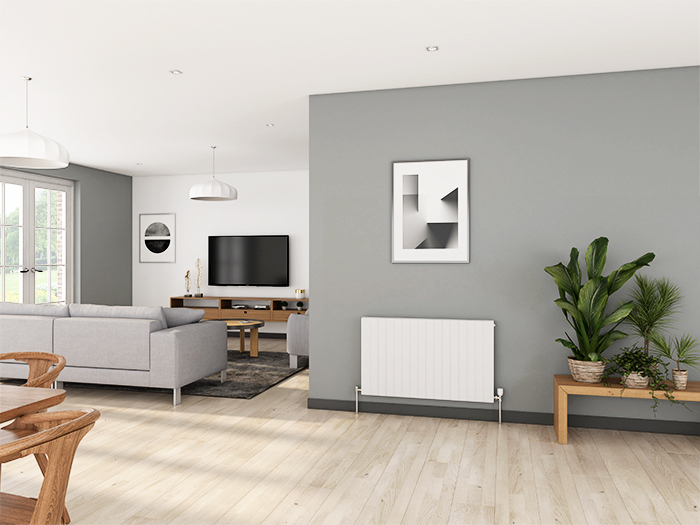 As a measure of all round dependable quality and performance, the Stelrad Vita Silhouette radiator comes complete with a 10 Year Warranty.